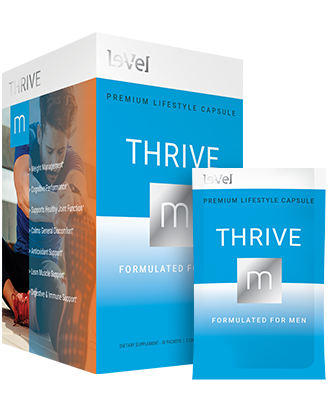 THRIVE M is a premium formula and a premium approach to your daily lifestyle. The result of scientific research and years spent perfecting the formula, THRIVE M is the only premium lifestyle capsule of its kind. THRIVE M is about reaching for more and achieving more, each and every day.